COME SEE WHAT'S NEW AT P.R.A.Y. CEO Jason Noland is at the helm and his leadership is already making an impact. One of Jason's top priorities is making contact with P.R.A.Y. 's many constituencies and strengthening ties with the denominations and youth agencies we serve. Click here to read a message from Jason. New Board officers were elected at the P.R.A.Y. Annual Meeting in September: President J.T. Dabbs (Scout Executive, Greater Alabama Council, BSA), Vice-President Roni Luckenbill (CEO, Girl Scouts of Western Ohio), and Secretary/Treasurer Kenn Miller (Scout Executive, Heart of America Council, BSA). Although these officers have been working closely with CEO Jason Noland, all nine directors are returning to serve terms on the P.R.A.Y. Board to provide continuity during this time of transition. Special thanks to former officers John Fenoglio (Scout Executive, Mt. Diablo Silverado Council, BSA) and Teena Weathersby-Hampton (Director of Mission Delivery Operations, Girl Scouts of Northern Indiana-Michiana) for their leadership and dedication to the P.R.A.Y. ministry. Click here to meet the P.R.A.Y. Board. I just wanted to tell you that your new website is AWESOME! It is easy to use, the information is well organized and it is absolutely beautiful! The new website is mobile friendly, provides on-site search capability, and proudly tells the P.R.A.Y. story. The new shopping cart displays the P.R.A.Y. awards and provides a streamlined process for youth registration and award purchase. The sort and search capability of our new Resource Library provides easy access for important resources. Please take the time to visit our website at www.praypub.org. If you can't find what you're looking for, please let us know. We appreciate your feedback and patience as we continue refining and updating our new site. "Tents and Shelters" is here at last! 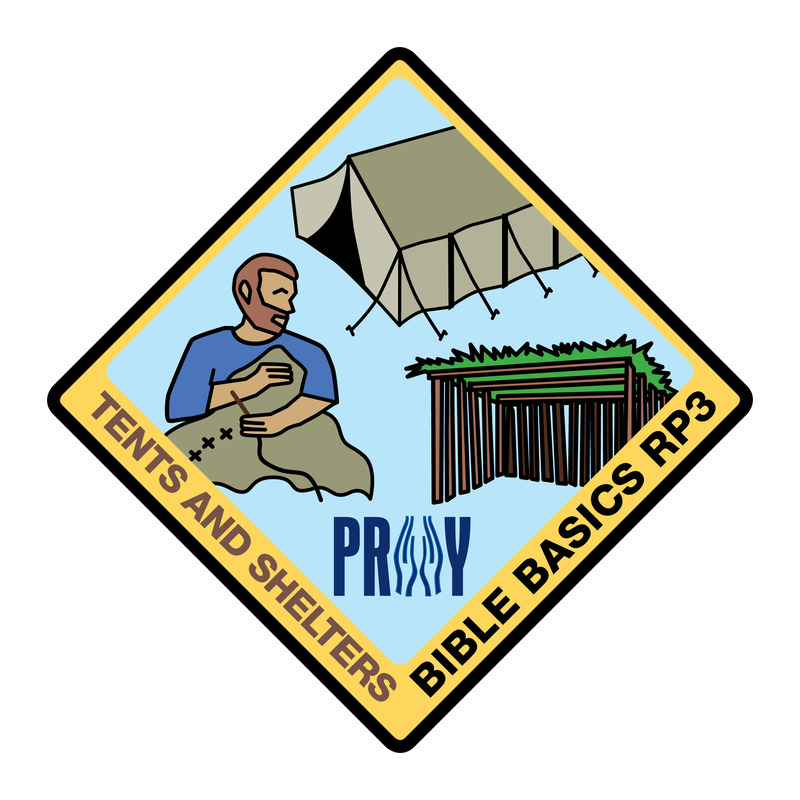 The tents lesson is the latest addition to the Bible Basics RP3 series. The featured stories are "God Speaks with Moses in the Tent of the Meeting," "The Festival of Booths Helps Us Remember," and "Tent Maker Paul." Bible Basics RP3 is a free curriculum for all ages (including adults) and is designed to "fill in the gaps" between P.R.A.Y. Awards. The curriculum emphasizes Bible STORIES and Bible STUDY and utilizes the RP3 model of Reading to Picture, Ponder, and Put It Into Action. Click here to learn more or to request the "Tents" lesson. Please note: Although the curriculum has been posted online, the actual Tent patch won't be available in our store until early December. Be sure to sign up to receive the P.R.A.Y. newsletter to be notified when it becomes available for purchase. 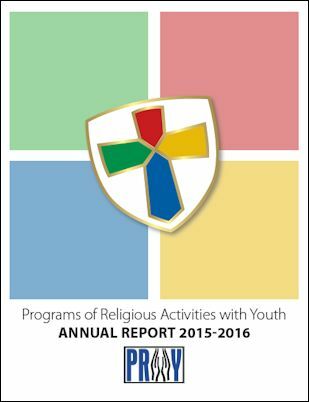 The 2015-2016 Annual Report was approved by the P.R.A.Y. Board and is now posted on the P.R.A.Y. website. You are encouraged to read the Annual Report which includes pertinent information about usage and recognitions by faith and program, as well as the acknowledgement of annual and lifetime donors to the organization. You won't want to miss the farewell to former CEO Mark Hazlewood, highlighting his legacy and 33 years of faithful service. Click here to read the P.R.A.Y. Annual Report. Did you know that P.R.A.Y. is a 501(c)(3) non-profit organization? Your contributions are tax deductible and will support the operational costs of religious award promotion and curriculum development of programs that connect young people across the country with their faith, strengthening their bond with Christ. P.R.A.Y. has joined #GivingTuesday , a global day of giving that harnesses the collective power of individuals, communities and organizations to encourage philanthropy and to celebrate generosity worldwide. Occurring this year on November 29th, #GivingTuesday is held annually on the Tuesday after Thanksgiving (in the U.S.) and the widely recognized shopping events Black Friday and Cyber Monday. #GivingTuesday kicks off the holiday giving season, inspiring people to collaborate in improving their local communities and to give back in impactful ways to support the causes they believe in. Please note the holiday schedule below as P.R.A.Y. will enjoy the coming season with their families and friends. Any orders received during this time will be processed the next business day per normal expectations.